In 6 weeks your experience of Abundance completely changes. This is a from the inside out program. You do the inside energetic work, align it to exterior physical outcomes and manifest miraculous results. Just using one of the processes I teach, I manifested one new client, and a business opportunity that raised my exposure substantially in less than two hours. I did the process at 7.30 am and that’s what happened by 9.15am that same morning, coming back from a birthday coffee with friends. You become one with the expression of Abundance. You start on-line straight away. Manifest expanded channels of abundance. One program participant, a single mum who’s ex-partner decided he wanted “his house” back, manifested a friend offering to loan her the money to buy him out. This program expands the channels of supply. Yes we work with energy, changing beliefs, shifting paradigms, releasing programing and whatever it takes, but you also set a clear goal to work with. Intention and focus are paramount. When you use your focus and intention in collaboration with the True Source, than things really do shift. You discover where you have been holding yourself back. And stop doing that! You build financial confidence and financial goals. Activate a Brand new Relationship with Abundance. If you’ve been viewing abundance in a skewed way, then the relationship will be skewed. Knowing the universal principles of Abundance allows you to create a brand new relationship with prosperity, to flourish and prosper in so many ways. New relationships of all kinds require nurturing and nourishing. You learn how to do this, so your relationship is a long term one, not a holiday romance. Align to a pure connection with Abundance and make empowered choices and abundant progress. What’s Included in the 6 week on line program? Introductory Video and six 75 minute video modules. 2. 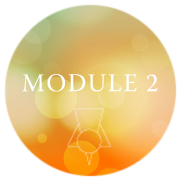 Every module includes a process and energetic transmission that builds your abundance. 3. It includes tools of connection, alignment, activation and circulation to use over and over. 4. You work with a clear intention and focus of your own. 7. You can listen and relisten. Every time you seem to hear something new that expands your connection to Abundance. Discover true source of abundance, how to connect fully with it. Know the difference between source and channels, and how to work with Source to expand your channels of abundance. Building Trust of Abundance. Feeling free at last. Now you’re connected, we clear. Outmoded programs, limiting imprints, old beliefs. Stagnant energy, family story out they go. Bring the power and the responsibility back into your own heart and power center. Which is where it needs to be for you to create the Abundance Reality that is true to you. Fabulous technique here to stop the mind taking over and telling you BS stories of limitation and struggle. Set clear intention and focus. Get some numbers down. Know how to circulate those numbers. Align, activate and circulate. Watch things move now. Circulating your abundance with this new awareness takes some practice, but the results are so worth it. Surrounding yourself with four vital components of Abundance. These are the things that ensure you achieve the goals you set in the previous module. Empowering yourself to generate, collaborate and hold the space for Abundance. You’ll be surprised what shows up in this module. But more importantly you’ll be prosperously enchanted by the results. In this module you receive the essential tool, the anchoring process that keeps you connected, aligned and circulating Abundance. This is the tool that shifts the change in your relationship from a romantic holiday to a long term prosperous relationship. Okay, so much change, so much to be celebrated. The last module is a recording of live coaching. This is rich with insight, inspiration and expansion of the truth of Abundance and how it shows up for everyone.